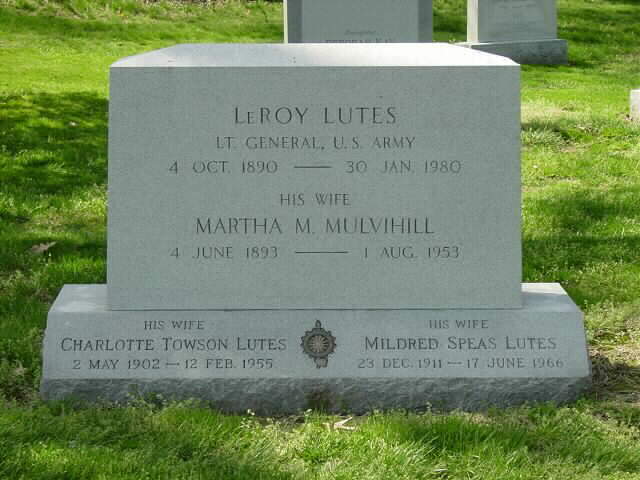 LeRoy Lutes was born on October 4, 1890 (Arlington National Cemetery). He graduated from the Wentworth Military Academy and was in the Illinois National Guard prior to joining the Army (Time Magazine). As shown on his gravestone, he had a grand total of three wives, each getting progressively younger (Arlington National Cemetery). He had one son name LeRoy Lutes Jr., who graduated from West Point and became a lieutenant colonel (Time Magazine). Lutes Jr.'s mother is unspecified, but he was born in 1914, when Lutes' second and third wives were still 11 and 2 respectively, so his first wife, Martha M. Mulvihill, was most likely Lutes Jr.'s mother. Lutes Jr. then went on to marry Louise Wolfinger Lutes, and they may have had a child named Stephen Roy Lutes (Arlington National Cemetery). After his fruitful military career, Lutes Sr. died on January 30, 1980 at age 89 (Arlington National Cemetery). At the start of World War Two, Lutes became the “Assistant Chief of Staff of the 3rd Army”. At this position, Lutes was responsible to advise the “Chief of Staff of the 3rd Army”, who made decisions on troop and supply deployment of the 3rd Army. Lutes spent a short career at this title, and was quickly promoted to “Director of Operations Services of Supply” 1943, followed by “Director of Plans & Operations, Army Service Forces” the same year. The Army Service Forces, or ASF, was one of three departments in the Army during WWII, the other two being Army Air Forces and Army Ground Forces. The ASF was created in February of 1942 as the Army administration was dissatisfied with the existing structure. Led by Gen. Brehon B. Somervell the ASF, similar to Lutes’ first title, was responsible for supply and troop deployment for the American Expeditionary Forces, led by General Pershing. The ASF was responsible for the planning of D-Day’s troop and supply lines, as well as multiple key campaigns throughout Europe and Northern Africa. Lutes became Somervell’s most trusted advisor, which led to Lutes’ promotion to Somervell’s title as Chief of Staff of the ASF in 1945. Following the war, Lutes continued to gain rank as an Army officer, reaching “Commander in Chief of the Army Service Forces” in 1946, and finally a general position as “General of the 4th Army” in 1949 until his retirement in 1952. Millet, John D. “The Organization and Role of the Army Service Forces” Washington DC, 1953. Patterson, Michael Robert. ­ www.arlingtoncemetery.net/llutes.htm. May 2008. “Army & Navy - Little Man in a Big Room”, Time Magazine, July, 1944. ”Leroy, Lieutenant-General”, http://www.generals.dk/general/Lutes/Leroy/USA.html. 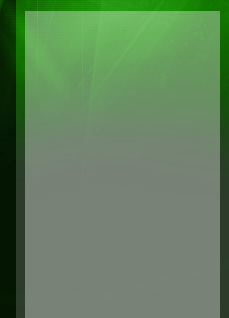 Steen Ammentorp Corp., 2000.